If you are struggling with substance abuse, you may feel that your addiction is a personal issue. The selfish and shortsighted logic of someone active in their addiction often overlooks the broad reaching effects that substance abuse has on their personal relationships. The behaviors of an addict don’t exist in a vacuum and oftentimes, it’s the people who love and rely on an addict that suffer the most. The following are 8 ways in which substance abuse affects your relationships with family and friends. One of the biggest assaults to your relationships can be the loss of trust. When you are addicted to drugs and alcohol, you will do anything to conceal your substance use. This often comes at the expense of the trust that spend years building. You will often resort to elaborate tall-tales in order to explain absences at family events or for your wide mood swings. As you engage in lies to cover your addiction, your family and friends will find it harder to discern what is true. This erosion of trust cause a serous strain on your relationships as those around may feel that they can no longer trust you. Substance abuse has significant negative impacts on your relationships at work. When you miss work or perform poorly at your job, your co-workers and your boss will have to pick up the slack. This will lead to increased stress, growing resentments—and can deteriorate the positive reputation you may have taken years to build. Poor work performance, regular absence from work, and the legal problems that often accompany substance abuse may result in job loss and make it difficult to obtain future employment. The loss of income and embarrassment of losing your job can place further stress on your family and those who rely on you as a provider. Substance abuse not only impacts your physical health; it also impacts your mental health. Those who abuse drugs and alcohol are at an increased risk of developing mental conditions such as depression and anxiety. Addiction can also intensify undiagnosed mental illnesses such as schizophrenia, psychosis, and PTSD. The resulting mood imbalances can be potentially dangerous and lead to intense mood swings and violent outbursts. Your words and action while in this state can cause seriously damage relationships and cause those closest to you to distance themselves. Your drug and alcohol use can lead to family and friends engaging in unhealthy behaviors that hurt more than help. Enabling is perhaps one of the most dangerous of such behaviors. Addict often use manipulation and fear tactics to get friends and family to support their substance abuse. In attempt to help you, your loved ones may do things like pay your rent and bills, give you places to stay, or cover for your erratic behavior. 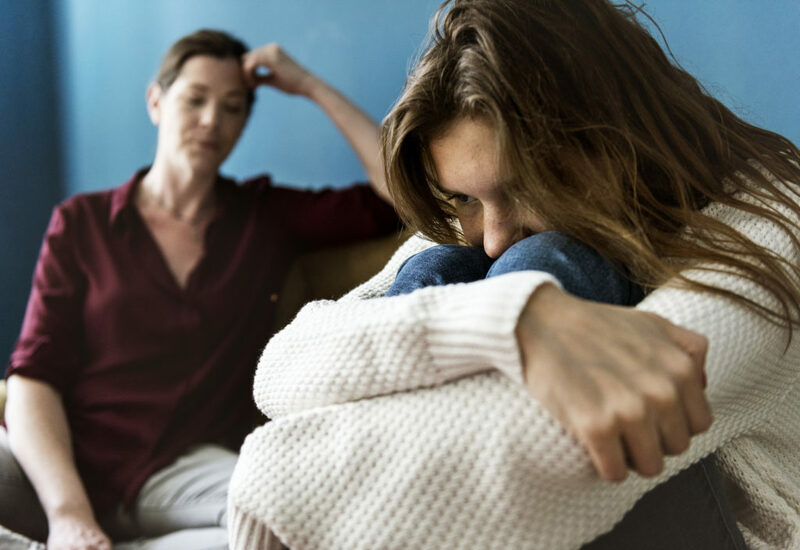 While your family and friends may have the best of intentions, enabling behaviors can allow an addict to slide deeper and deeper into their addiction, leaving those who care about you feeling guilty and wondering if your situation is somehow their fault. The manipulating and dishonest behavior of an addict in this situation often leaves friends and loved ones feeling used, betrayed, and with a sense of resentment for putting them in the situation. Those who engage in drug and alcohol abuse often do so in secrecy. While the physical and psychological aspects of addiction are often readily apparent to family and friends, the addict operates under heavy denial. If you operate in secrecy in regards to your addiction, the friction you create with family and friends causes anger and frustration. These emotions can run high enough to the point that your loved ones may cut ties with you. There is no doubt that drug and alcohol abuse take a toll on your body. Whether it is liver disease, lung disease, cardiovascular issues or dangerous diseases such as hepatitis or AIDS, the toll addiction has on your body is devastating. Your deteriorating health and physical appearance can cause your loved ones undue heartbreak and emotional distress as your physical appearance creates a visual representation of just how bad things have gotten. If you are in a romantic relationship in active addiction, you are creating a toxic environment where emotions run high. The chaos that often accompanies substance abuse creates a pressure cooker of emotions that’s waiting to explode. The lying, cheating, verbal and physical abuse, have the power to destroy even the closest of bonds. Additionally, your partner may make a genuine attempt to help you get clean, which often can transform itself into enabling behaviors or codependency, which creates further resentment and negativity in the relationship. When you continue to engage in addictive behavior, your family and friends may choose to ignore your problem or make attempts to rationalize your use. Instead of showing concern and trying proactively to get you help, they may just give in to keep you happy and content. By allowing your substance use to continue things may get progressively worse. The guilt of not intervening in time can cause a great deal or mental or emotional distress for friends and family members. Ironically addicts will often resent friend and family members for not stepping in and intervening earlier. If you or a loved one is struggling with a substance abuse disorder don’t wait till it’s too late to get help. Addiction can ruin relationships and have a destructive impact on the lives of addicts and the people who surround them. There are many resources that exist to help someone get clean and tons of examples of those who have turned their lives around. Change is possible. Never give up on those in need.